After the adventures of the previous day Vita was in the mood to do more exploring, and so off she went in search of some fun. What fun and excitement will Vita discover? Find out in this episode of Figure Comic – Summer Holidays – Into the Wild - Part Two. 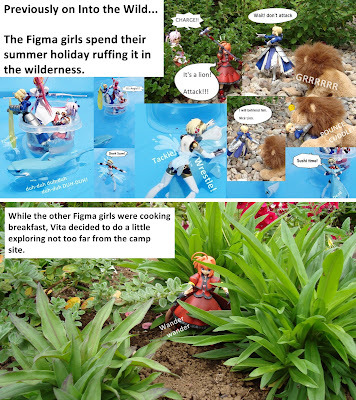 Please stay tuned in for next weeks Figure Comic Summer Holidays Series, meanwhile back at the villa the Revoltech girls though blissfully unaware are in great danger.